Rizwan Khan (Shahrukh Khan) is a Muslim who also suffers from Asperger's syndrome. Khan (that's pronounced "Khan from the epiglottis," by the way), moves from Mumbai to San Francisco with the help of his younger brother, Zafir (Jimmy Shergill). Zafir also gets him a job selling beauty products. On his route, Khan meets a Hindu woman, Mandira (Kajol), and falls in love. Rizwan, Mandira, and her son Sam (Yuvaan Makaar) live a happy, suburban life until the tragedies of 9-11 taint people's opinions of them. 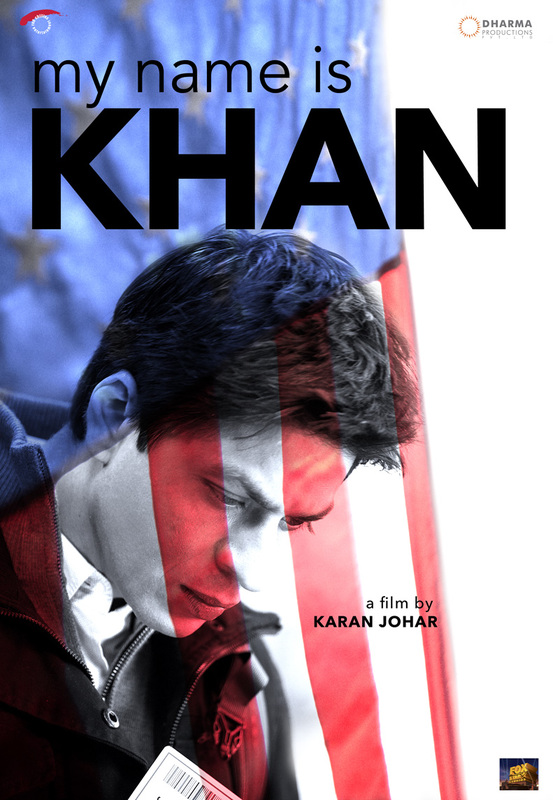 The events that follow lead to Khan embarking on a cross-country trek to meet the President and tell him plainly, "My name is Khan, and I am not a terrorist." This was my first official Bollywood film and I was not disappointed. This was due in large part to the engrossing performance of Shahrukh Khan. The film relies on his portrayal and a considerable amount of voice-over narration to relate the emotions Khan is not able to convey. The sadness of Khan's plight would almost be too much to bear, except that it is thrown off balance by the woefully ridiculous stereotypes Khan encounters. A southern black mother complete with apron and head wrap, and a government interrogator who knows Khan's as guilty as his skin is brown are just two of the many one-sided characters. You can forgive these cardboard cut-outs because they are not the story; Khan is. Khan's quest is incredibly heart-breaking and uplifting, and Shahrukh Khan's presence makes every step of his journey felt. Dots. Dots. Everywhere I Look I See Dots.